Researchers at Biotechnology Calendar, Inc. life science events are in the right frame of mind to consider purchasing new products that will help them save time, energy, money and waste in the lab. Rather than canvassing the Emory University campus, you can meet Emory researchers who are prepared to discuss better options for stocking their labs at our events. Researchers will feel comfortable knowing that exhibitors are connected to university contacts through Biotechnology Calendar, Inc. and are marketing their products and services at a scheduled event. The catered lunches we provide at our Emory University event also ensure that researchers are relaxed, enjoying themselves and receptive to meeting new sales reps. The event staff at our Emory University life science event are professionals ready to answer the questions of exhibitors and attendees alike. Researchers know they can approach our event staff with questions about where a seminar is taking place, where they can find a vendor who sells a product they are looking for and which exhibitors are giving out event bags. Our sponsorship packages also give lab suppliers the opportunity to gain increased exposure at Emory University with distribution rights to exhibit bags and lanyards, competitive placement and full-page advertisements in our event program, and seminar space. Emory University is a well-funded school at which lab suppliers will want to market life science products and sell lab equipment. In 2012, Emory University was awarded $263.6 million in funding from the NIH. In addition to receiving this life science funding, Emory University also received $10.6 million from the NSF. For more detailed funding information, including a list of the best funded life science departments receiving funding from the NIH organized by department name, number of awards received and total funding awarded, please read our article Emory University Receives $274.2M in Research Funding. 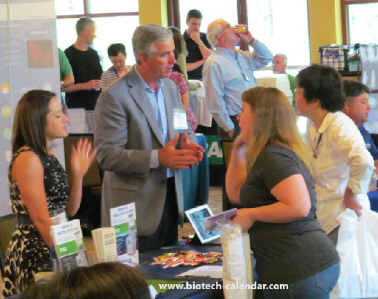 If you are a lab supplier working to market life science products and sell lab equipment at Emory University, Biotechnology Calendar, Inc. invites you to attend our Atlanta BioResearch Product Faire™ Event on February 27th, 2014. 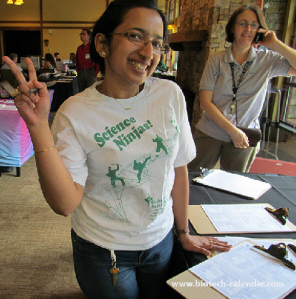 In 2012, our Atlanta BioResearch Product Faire™ Event attracted 213 attendees. Of those who came, 58 were purchasing agents, professors and post docs, and 30 were lab managers. The attendees came from 34 different research buildings and 55 departments across campus. Biotechnology Calendar, Inc. is a full-service science research marketing and events-planning company that organizes life science events at top research institutions across the country. If you are interested in working to sell lab equipment and market life science products at universities closer to home, we encourage you to view our 2014 calendar of events. For more information on Emory University funding statistics, or to learn more about the Atlanta BioResearch Product Faire™ Event, click on the button below.